Here at Van Midde and Son Concrete, we offer a variety of concrete-related services; not the least of which is our professional concrete cleaning and concrete sealing service. We give our cleaning and sealing treatments the same amount of care as every other aspect of our job but it doesn’t stop there. 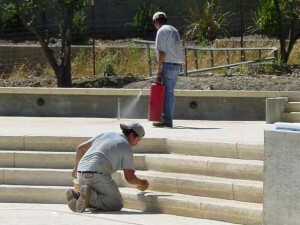 What really sets us apart from other companies is the fact that unlike other concrete cleaners and concrete sealers is that we provide this service in the final stage in all of our concrete products something that our competitors simply can’t match. And what’s more is that all of this is available right here in Marin County, Sonoma County, or San Francisco, California. As time passes by, Mother Nature can really do a number on any outdoor surfaces the concrete of your driveway or patio is no exception. Apart from stains, moss, and mildew, concrete may even wear down and crack over time. But with the help of Van Midde and Son, you can restore your concrete’s original finish and help preserve it for years to come. Concrete cleaning is a home beautification process that can improve not only the appearance of the concrete surrounding your home, but it can even help raise the property value as well. Another one of our specialties, concrete sealing assures that your driveway or patio will remain protected from the elements and other types of damage; and with Van Midde and Son you can be sure that you’re getting the best possible service with over 50 years of experience. 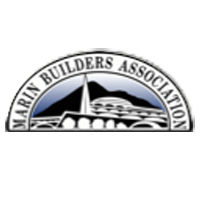 Located in San Rafael, Van Midde and Son Concrete does concrete cleaning and sealing in Marin County, Sonoma County and throughout the San Francisco Bay Area.